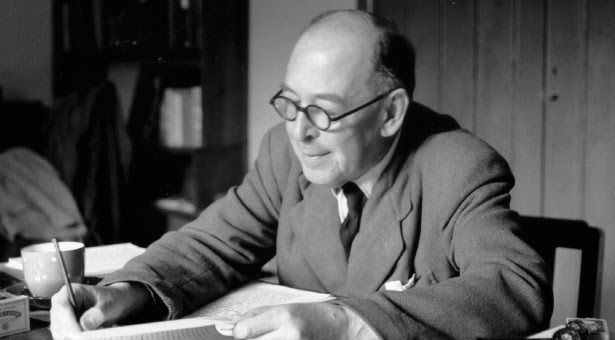 I have been an avid CS Lewis reader for many years. My Mom introduced me to The Lion, The Witch and The Wardrobe during Junior High and I at once learned to love the insight and magic of Lewis’ writings. His strong vision of good and evil, the ability to take fantasy and anchor it into reality have kept me reading. In his book the Problem with Pain, he touches on the subject of Hell. He refers to it as doctrine, as so it is, and at the same time it is a reality which Jesus speaks of many times. I leave it to you to read…. There is no doctrine which I would more willingly remove from Christianity than this, if it lay in my power. But it has the full support of Scripture and, specially, of Our Lord’s own words; it has always been held by Christendom; and it has the support of reason. If a game is played, it must be possible to lose it. If the happiness of a creature lies in self-surrender, no one can make that surrender but himself (though many can help him to make it) and he may refuse. I would pay any price to be able to say truthfully “All will be saved.” But my reason retorts, “Without their will, or with it?” If I say “Without their will” I at once perceive a contra- diction; how can the supreme voluntary act of self-surrender be involuntary? If I say “With their will,” my reason replies “How if they will not give in?”. . . The doors of Hell are locked on the inside. I do not mean that the ghosts may not wish to come out of Hell, in the vague fashion wherein an envious man “wishes” to be happy: but they certainly do not will even the first preliminary stages of that self-abandonment through which alone the soul can reach any good. They enjoy forever the horrible freedom they have demanded, and are therefore self-enslaved: just as the blessed, forever submitting to obedience, become through all eternity more and more free. “The hajj is not required of every Muslim….In contrast, pilgriming with Jesus is a mandatory requirement.” – p.66. My office is down the street from 40,000 Muslims and several Mosques. I see the men dutifully making their way to worship regularly. Sweet makes the contrast perfectly. Daily walking with Jesus does not require a physical address or a destination wedding. The Bride is ready and the Bridegroom will arrive. In the meantime the promised presence of God is our reality. Jesus said, “Surely I am with you, even to the end of the age. Later I discovered his other writings – A Grief Observed, The Great Divorce and Mere Christianity. The Latter is perhaps one of my favourites and I’ve recommended or given copies to many people through the years. Below is a quote from Mere Christianity which gives great insight into the mind and ability of CS Lewis.